The Deep Love assessment is the first self-assessment for couples that utilizes a sophisticated algorithm and advanced web technologies to provide in-depth, personalized and actionable insights in a user friendly, engaging design aesthetic. To learn more or to take the Deep Love Assessment click below. Click the image for an amazon link. Through humor, transparency, biblical wisdom, research, and a massive amount of practicality, Ted Lowe guides you through four, doable, easy-to-understand habits that will help you become your best us. Your Best Us is for anyone who wants a better marriage but feels overwhelmed by too many marriage books, blogs, and experts, especially those that make marriage harder than it has to be. This devotional study was prayerfully composed with 30 days of biblical concepts and practical challenges to help you nourish your relationship with God and your relationship with your husband in marriage into ones that are captivating, intimate and extraordinary. This is a powerful resource that leads men to gain a better understanding of their role as a husband and spiritual head of their home. 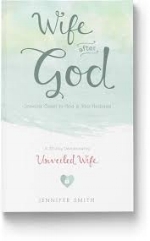 Each chapter is designed to motivate and challenge men to draw closer to God and closer to their wives. The Little Book of Great Dates will help build romance and fun into any marriage with its creative ideas for a year’s worth of weekly affordable dates. It includes plans for special-occasion dates, such as the couple’s anniversaries (first date, engagement, wedding), birthdays, etc. 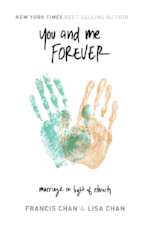 Couples can get to know each other better by sharing fun times and discover dating again in their marriage with this great little book of ideas! We want to help. Please contact us.